 There is no way to turn off the music once it's started. Can you please add some options? Maybe add an extra button - a music note with a circle & slash on it?  We should be able to hide the  and  on the bottom of the screen. It takes away from the mood. Maybe autohide like these web browsers have at the bottom of their screens. 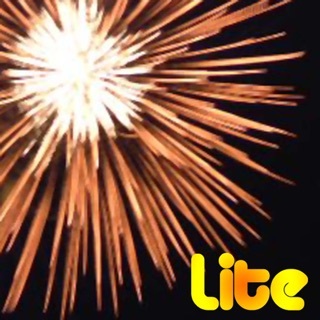  The first time I tried to play music with fireworks (hit the ), the app closed.  FIX FOR APP CRASH: 2xClick (IOS 4.0 or 4.1) to bring up the row of apps. 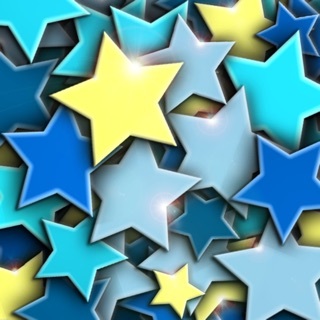 Hold down the fireworks icon until it wobbles, then hit the x in the top corner. THIS ACTION DOES NOT DELETE THE APP!! It just closes out the app. (By the way, do this with all apps down there to save memory. It's called 'kill app"). Reopen the app, and that seems to do it. 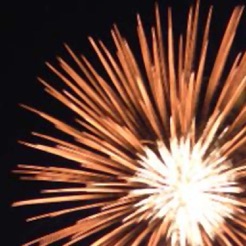  What if we could select and turn off specific fireworks?  And maybe control the frequency of specific fireworks? There are a few that I could do without, and some that I like, but would want sporadically. 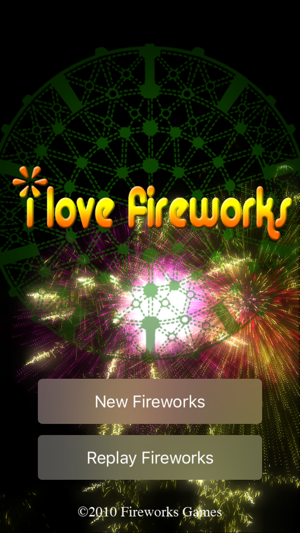  Also, maybe we can control the min and max sizes of each firework. As for the app as is, it isn't bad. I like the music option, and the new fireworks that were added. Recording fireworks with GOD BLESS THE USA makes me cry when I replay it. Good job. Now can you add an options page? 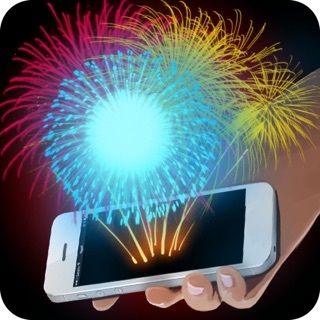 Best fireworks app ever!!!!!!!!!!!!!!!!!!!!! It's worth the $1. 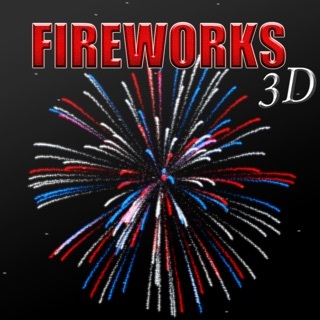 I also have the free version, this app is totally amazing, the graphics are so realistic it's unbelievable, the pictures of the fireworks make the fireworks look like real life so much it is wonderful. The sound quality is spectacular as well. The only complaint that I have is that it hasn't been updated sense I think it is 2011 or 2010. It does need more fireworks designs and more colors. 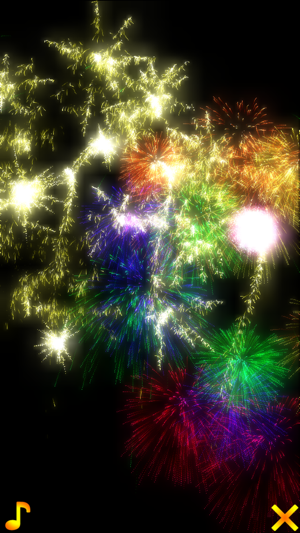 But overall even with the very few bugs there is, it is still the best fireworks app I have ever owned. 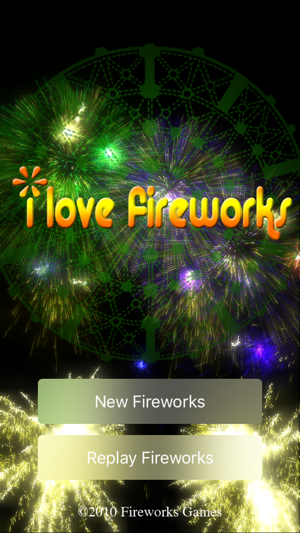 Thank you fireworks company for this amazing app. My 2 years old really loves this app. It's been more than 6 months since I bought it and she still askes me to play it every time she sees my iPhone. Interesting that she never watched real fireworks... I can't wait for this summer to show her some. It's also a fun for grown-ups, too. Real sound, nice variety of colors, sizes and shapes. Just one finger to creat one is good but you can make two, three, four and more fireworks at the same time. They can have different colors and shapes. I bet it will give you good smile while playing.